KT Collection is a New York City company that makes different handmade and costume jewelry. They have tons and tons of different options and the jewelry is pretty affordable. They sell earrings, necklaces, bracelets, and rings. Something else pretty neat is that they were featured on Gossip Girl! Love that show. For my review, I chose the faceted gem stone necklace in turquoise. This necklace comes on a 14k sterling silver chain and retails for $45.00. It also comes in other gems such as citrine, amythyst, quartz, and garnet. The necklace is very pretty! The only thing is that I wish the gem was a little larger but it does have that dainty and feminine feel. 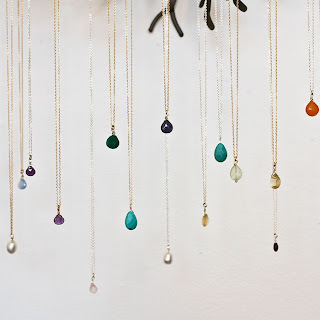 Handmade line: It is made with sterling and 14-karat gold-filled chains. Pendants are sterling silver and vermeil (sterling silver dipped in gold) unless otherwise noted. Handmade pieces are designed and made in New York City. Costume line: It is silver plated, gold plated, and brass. Our philosophy is that costume jewelry is fabulous if you want a statement piece that is just plain fun. We do not make or design these pieces. If you plan on getting something that you will wear everyday, invest in one of our handmade pieces made of precious metals for more durability and longevity. 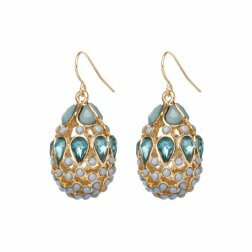 The giveaway will be for these gorgeous Blue Faberge Egg Earrings from the KT Collection. 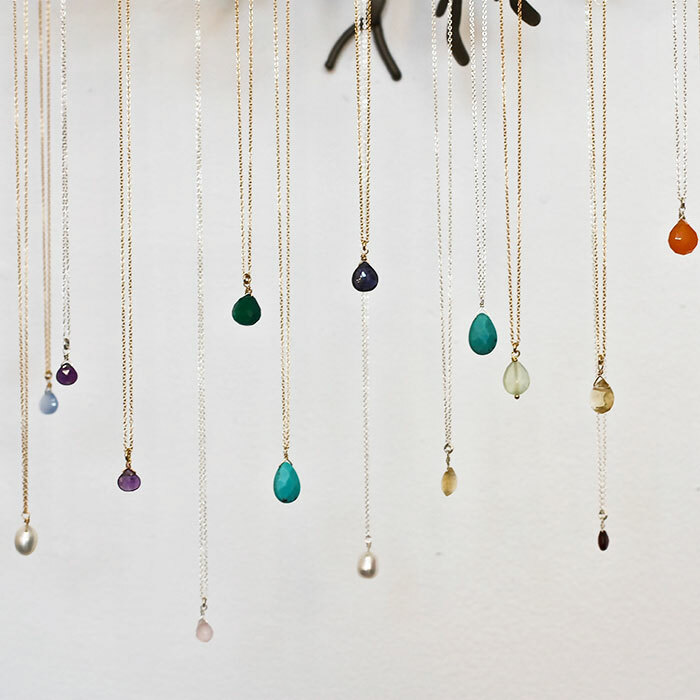 My favorite is the Semi-Precious Mix of Blues necklace. I love the brushed leaf necklace! I like the encased fasacted gold smokey topaz necklace in gold . Those earrings are stunning, I want to wear them to winter formal! I think the Semi-Precious Mix of Blues Necklace is very pretty. I love the earrings in this giveaway, this necklace and these earrings would go very well together. Really pretty! I love the hammered circle bracelet in gold. I like the semiprecious mix of blues necklace. I liked the Emerald Green Ipanema earrings. I like the Two Leaf Necklace! I like the Vermeil Elephant Necklace! I'd like to win these earrings! The 22k Gold Vermeil Adjustable Ring is my favorite. It's gorgeous! The Gilded Flower necklace is perfection! I love the Gold Nuggets bracelet!! The Vintage Silver Flower Earrings are really pretty! I love the Green Chandelier Earrings. My favorite is the Turquoise Necklace on a Beaded Chain. I like Sea Green Charm Necklace.